Welcome to the world of HTML5. Hyper Text Markup Language (HTML) is the markup language for developing web pages & other information that can be displayed in a web browser. HTML5 is associated with words of appreciation like extremely fast, responsive, safe, attractive & interactive. As you will go further with this description you will come to know why such adjectives have been added to the credit of HTML5. HTML5 has introduced many enhanced features which enable web developers to create apps & websites which matches with the performance of desktop applications but can serve a much broader audience using a plethora of devices. It has added lot to the effect of multimedia & graphics. Browser has been made a fully fledged platform for games, animation, movies & others. Rich audio API’s & low latency networking of web sockets let you create a compelling experience for users & audience. With HTML5 you can work on apps even offline. Offline API’s improve performance also & they are just not for storing files. It enables the app to quickly access stored data & minimizes the repeated requests to be sent to the server. Large number of devices can be targeted with least effort given for development. It is highly accessible to large number of developers. Developing native apps for a list of platforms is an old school now. 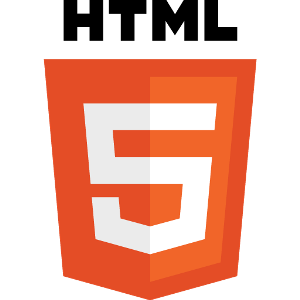 HTML5 allows you to use the same technology across multiple devices with differing Operating Systems. Fragmentation is not more a barrier in HTML5. You can create an app for a single browser & just add layers of browser specific tweaks to expand your reach to the majority of devices. It is broadly supported on all modern browsers & all mobile devices. It’s ubiquitous. It follows stringent standards of security development. Layers of protection have been implemented. Standardization of parsing algorithm has eliminated browser discrepancies. New attributes like sandbox, seamless & srcdoc has been added to the iFrame element. Multipurpose architecture pioneered by Chrome & adapted by many browsers has been added as another barrier to infestation. It renders the browser more security & stability. Each app is run separately from another so that none can interfere with anybody’s task. API policies like Safe Browsing API, Content Security Policy & XSS filters have been adopted. Hassles of restarting & useless updates would no more bother users. Apps are always up to date. It is an excellent platform for businesses. It has brought significant benefits for companies. WebSockets & WebRTC can boost real time communication by making development easier & enhancing the user experience. With HTML5 in hand new kind of experiences can be delivered to users over web. It’s already being implemented across all modern browsers.